Fashion Diaries: 10 times Zendaya Slayed Her Style Game! Denim on denim can look too matchy matchy, but Z shows you how one should style this look! The bold lip and bold pumps, girl…slay! 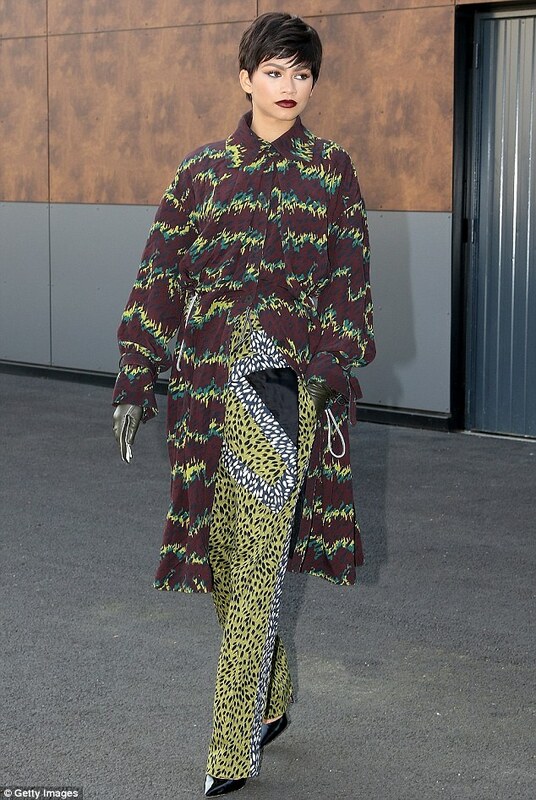 This is the most unique yet fierce look Zendaya has rocked and I’m loving every bit of the craziness here (in a good way duh!). Also, the make up is on point! I’m green with envy that I can’t look this good stepping out of a Starbucks (see what I did there…okay lamez). I love how voluminous her hair is & those shoes are gorg! Seriously, can I have her style brain? Like even for 5 min? plzthnx. Okay, if you want to know how to wear bold colours the right way…this is it. Pure perfection. Oh my, you want grungey chic? Zendaya is going to show you how to rock this rocking look (yup I went there, judge away). Seriously, the pop of pink with the Chanel purse is fabulous! Keeping it simple and classy here Z. Seriously, an all white/cream outfit never looked this good! Also, plus points for putting the hair up and making the outfit the focal point! …because she makes this particular outfit feel as if it’s couture! Seriously, Z can show you how to rock a casual comfy look super effortlessly. Also, that hair thoughhhh! Does this girl ever dress horribly? The grey on grey with the black thigh high boots look incredibly stylish. I love how she slicked her hair back for this look! Okay, this is another one I’m going to recreate…simply because it’s easy and looks incredibly effortless and chic (yes I use that word a lot, allow it). Also, those shoes! !